A 529 plan is an education savings plan designed to help families accumulate funds for their children’s future college costs. Named after a section of the Internal Revenue Code, the IRS defines 529 accounts as plans “operated by a state or educational institution, with tax advantages and potentially other incentives to make it easier to save for college and other post-secondary training for a designated beneficiary, such as a child or grandchild.”1Internal Revenue Service (IRS), “529 Plans: Questions and Answers,” IRS, http://www.irs.gov/uac/529-Plans:-Questions-and-Answers, accessed May 2017. If you’re interested in opening a tax-advantaged education savings plan for a child or grandchild, you may be in luck. According to the Securities and Exchange Commission (SEC), “all fifty states and the District of Columbia sponsor at least one type of 529 plan.”2U.S. Securities and Exchange Commission (SEC), “An Introduction to 529 Plans,” SEC, http://www.sec.gov/investor/pubs/intro529.htm, accessed May 2017. When selecting a 529 plan, it’s often difficult to identify the factors that are most important to your situation, partly due to the vast number of choices now available for these types of accounts. Additionally, it can be a headache to figure out the dos and don’ts after you choose the plan. So what are three dos and don’ts to consider when working with a 529 plan? DO set up a 529 plan if the benefits and risks are appropriate for you: The average cost for tuition and fees at four-year public colleges has increased more than 50 percent (after adjusting for inflation) over the past decade.3College Savings Plans Network (CSPN), “Why Save for College,” CSPN, http://www.collegesavings.org/whySaveForCollege.aspx, accessed May 2017. These costs are projected to continue to increase. It’s fitting, then, that one of the main reasons individuals begin a 529 plan is to help offset the cost of future college expenses. Anyone can open a 529 plan or contribute to an existing account. Parents, grandparents, close or distant relatives, and even family friends can be account owners or contributors. Anyone can also be named as a beneficiary; you can even choose yourself as a beneficiary. Each beneficiary can also have multiple accounts from multiple owners. This means that there really is no limit on the number of accounts that can be set up by an owner or for a beneficiary. For the fourth bullet specifically, it’s important to look out for the “load” that a broker-sold 529 plan would charge. This is paid to the broker as a commission for selling the plan itself. You may also be charged an annual distribution fee by the broker, anywhere from 0.25-1.00 percent of your investment.4U.S. Securities and Exchange Commission (SEC), “An Introduction to 529 Plans,” SEC, http://www.sec.gov/investor/pubs/intro529.htm, accessed August 2014. To easily compare the fees of various 529 plans, check out SavingforCollege.com. This site provides comprehensive, well-sourced information on many topics related to college or post-secondary school financing. DO research whether your state offers a tax-incentive plan: No 529 plan has federal tax incentives, but many states offer a state tax incentive for setting up a 529 plan within the owner’s state of residence. Take note, however, that federal educational tax credits may be reduced by the amount of certain qualified expenses covered by the 529 plan. Federal financial aid could also be affected by a 529 plan balance. It is best to check with your tax accountant to verify how federal tax credits or federal aid could be affected by the 529 plan of your choice. DON’T be afraid to contribute to the 529 plan: You may contribute up to $14,000 ($28,000 for married couples filing jointly) to a 529 plan without having to pay gift taxes or filing a gift tax return. Also, an account owner may gift a lump sum amount of up to five years of the annual gift. This includes sums up to $70,000 ($140,000 for married couples filing jointly) per beneficiary. Another benefit to the 529 plan is that the beneficiaries can be changed at any time. For instance, if one of the beneficiaries does not use the entire amount, the excess can be shifted to another family member. Because of these options, 529 plans can be a great vehicle for estate planning, as many plans allow contributions in excess of $200,000. Another benefit is that the account can continue to remain under the owner’s control, but moved out of his/her estate. DO use an age-based investment allocation: Most plans offer a variety of investment options, including various age-based allocations. Using an age-based investment allocation takes the guesswork out of which investments to use within the 529 plan, as well as changing the stock/bond shift to a more conservative allocation as the beneficiary nears college-age. DON’T take withdrawals from the account outside of eligible educational expenses: Since the 529 plan is created for college or post-secondary school expenses, any withdrawals that are not used for school-related expenses may result in income tax on the earnings, as well as an additional 10-percent penalty tax. Qualified higher education expenses typically include tuition, room and board, mandatory fees, books, supplies and equipment (including computer equipment) required for study at any accredited college, university or vocational school in the United States and at some foreign universities.5Ibid, 4. If you need additional assistance when navigating and selection a 529 plan, speak with a registered investment advisor (RIA) or a Certified Financial Planner™ (CFP®) professional. These individuals will be able to provide you with guidance for your particular situation and needs. 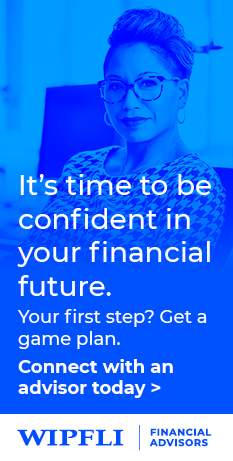 Need help reaching your college savings goals? Family	Does Divorce Derail Retirement?